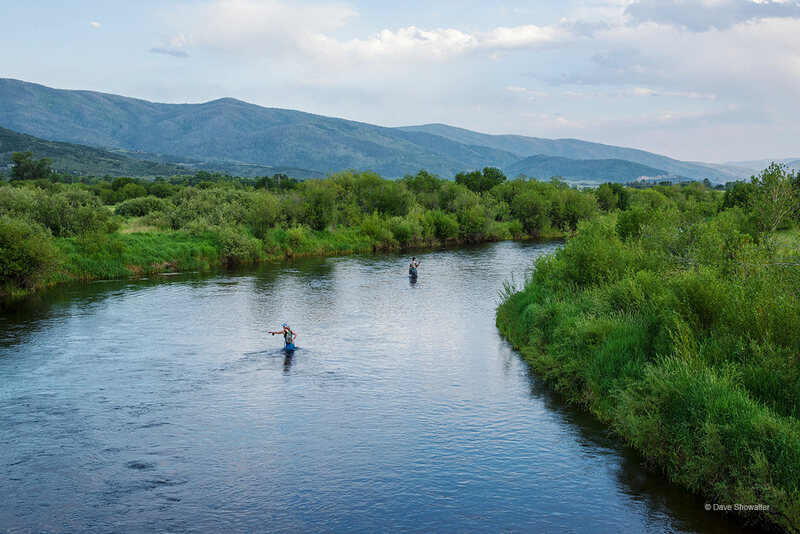 Fly fisherman cast for trout in receding June waters on then Yampa River, just outside of Steamboat Springs, Colorado. From its headwaters in the Flattop Mountains to the confluence of the Green River in Dinosaur National Monument, the Yampa is the only free flowing river in the Colorado River Watershed. Photo © copyright by Dave Showalter.